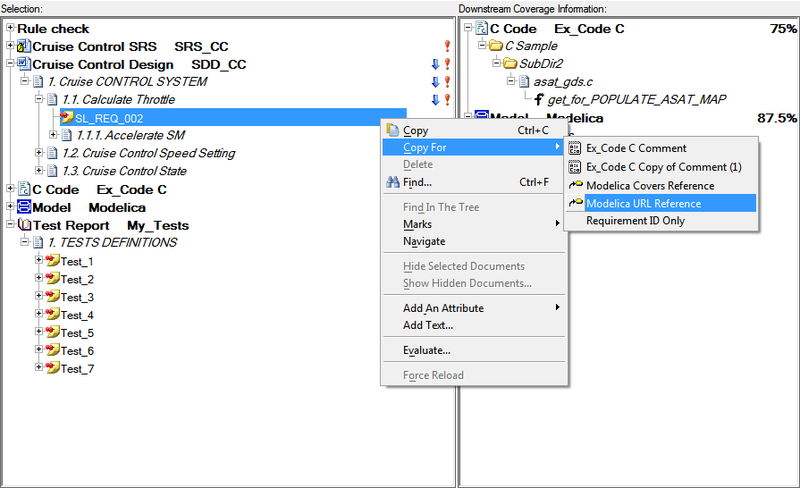 In Reqtify, right-click on the requirement, select Copy For > Modelica URL Reference. 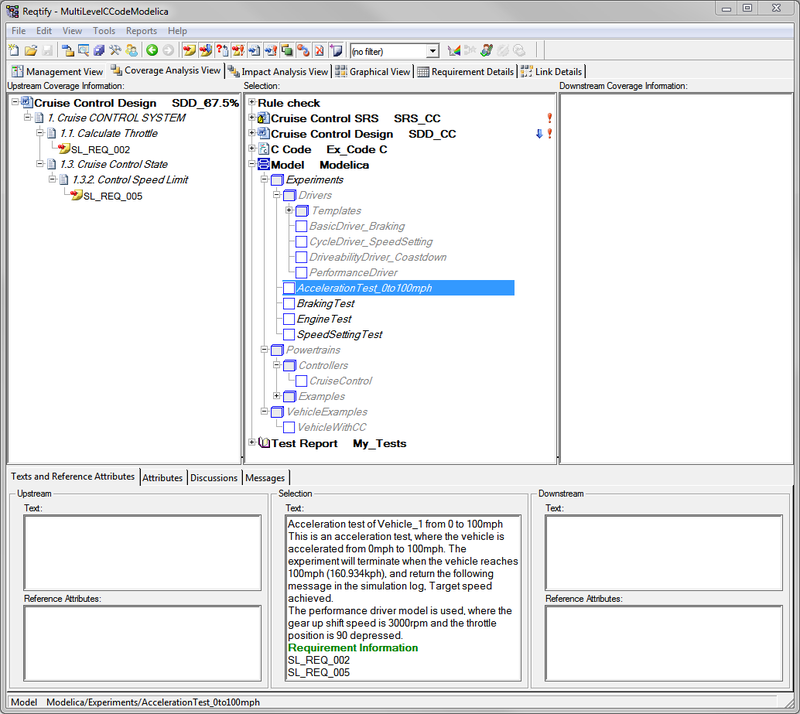 In Dymola, go to the Documentation layer of the model and change to the Info Editor view. Paste the cover link from Reqtify into the model documentation. This creates a hyperlink in the model documentation which has the requirement name. Selecting this link will navigate to the requirement in Reqtify. 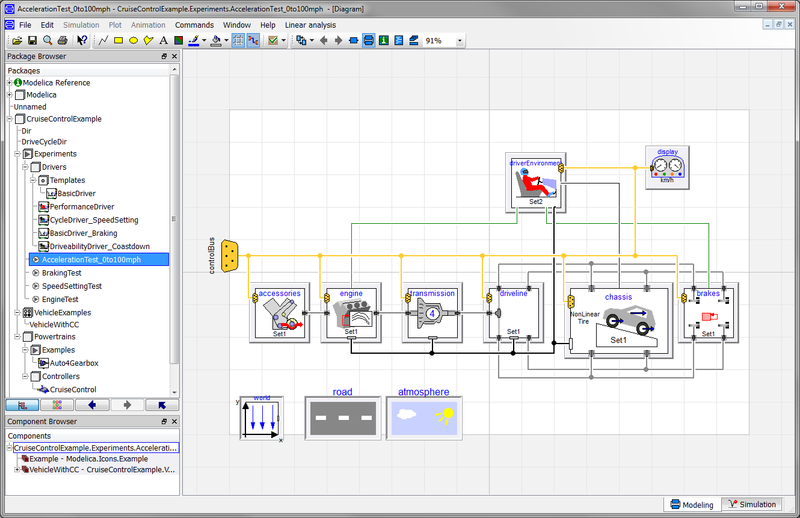 More details on the Modelica interface can be found in the Reqtify 2012-2a coupling notes for Modelica and Dymola. Also see the Modelica coupling example delivered with Reqtify. 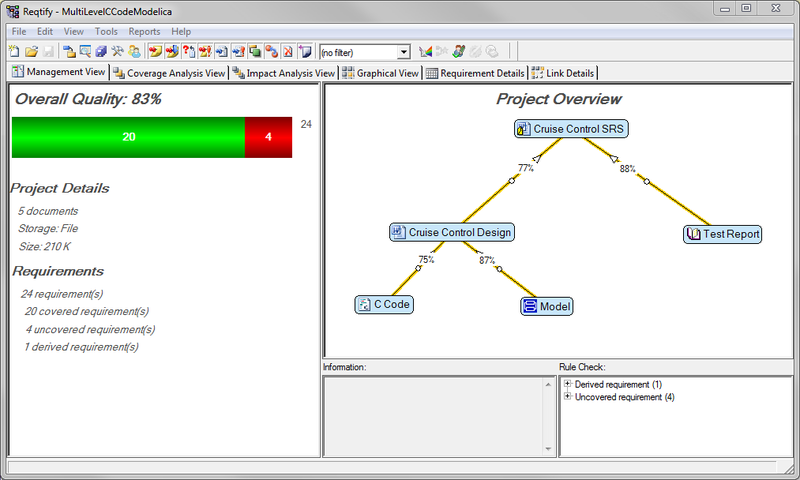 This example demonstrates how Dymola models can be included in a Reqtify project to validate requirements; the following figures are taken from this example.